Born June 29th, 1981, Anthony Crawford was raised in a family of talented musicians. His father, funk and rock drummer Hubert (H bomb) Crawford has played with notable greats like James Brown, Cyndi Lauper, Mothers Finest, Mark Farner of the Grandfunk Railroad, The bar kays, and was the original drummer for the Eric Gales Band, while his uncle is the legendary jazz saxophonist Hank Crawford who’s music has been sampled by multi platinum artists such as Kanye West, Tupac Shakur and Eminem. With such strong musical influences in his life, Anthony began playing the drums at the tender age of 2. At about 6 years old, he began to attend his father’s performances. It was at this time that Anthony started to visualize and dream of being on stage and playing the drums like his father. Soon after, this young gifted musician entered and won several school talent contests. It was not until Anthony reached his 12th birthday that he finally picked up the bass for the very first time. He knew, just at that moment that he was meant to be a bass player. He walked away from the drums, never looked back, and began practicing the bass night and day. When Anthony was 14 he began playing with his father and has set in with the Bette Midler Band. As a freshman in high school, he then met Derrick Dean, keyboardist, and Trevor Taylor, drummer. The trio soon became good friends and decided to form a band. Together they performed at church and for a variety of Memphis community choirs. Through these experiences, Anthony was introduced to many forms of jazz and musical genres. Musically, Anthony has been greatly influenced by rock bands and bassists like Doug Wimbish, Les Claypool, Doug Pinnick, Metallica, Deep Purple, and Ozzy Osbourne. But the turning point surrounding his musical influences was when he recalls, “I got ‘A Show Of Hands’ by Victor Wooten. That record completely changed my life. I must have learned that whole entire record from beginning to end. That record made me really explore my talent in ways I never thought possible.” It was after this musical experience that he began listening to other great bass players like Stanly Clark, Marcus Miller and Jaco to name a few. In 2000 post high school graduation, Anthony flew to Los Angeles to play at the National Democratic Convention for Bill Clinton. Two years later he appeared in a Burger King commercial with the basketball star, Shaquille O’Neal. The following year, Anthony released his first record entitled “Satisfied”. Anthony began playing with the legendary R&B group Shalmor in 2004 and shortly after with Howard Hewett. He also performed with Justin Timberlake. Then he met jazz saxophonist Kirk Whalum. Together the pair performed a few shows and collaborated to create the music for a movie commentary filmed in South Africa. On January 1st, 2008, Anthony moved to Los Angeles and has been actively performing with notable artists such as Erykah Badu, Peabo Bryson, Jeff Lorber, Dave Weckl, Everette Harp, Frank McComb, gospel legend Andrae Crouch, Karen Briggs, Virgil Donati, guitar legend Allan Holdsworth, Eric Marienthal and has released his solo CD titled “Urban Jazz” available November 9th, 2010. Soon after the release of Anthony Crawford’s solo album, he was featured on the front page of “Top 40 Charts” alone with Stevie Wonder and the MTV Movie Awards. Anthony Crawford was also invited to perform at the 2011 Emmy Awards show. In the following months, Anthony joined the Allan Holdsworth band alone with Virgil Donati. Soon after, Anthony was touring with Allan Holdsworth for the European Chapter 2 tour in which Anthony was performing in front of hundreds of people across Europe. After the Allan Holdsworth tour, Anthony teamed up with his long time friend and producer Jonathan Richmond, who has produced hit albums for artists such as Angie Stone, Eric Benet and Anthony Hamilton and together they collaborated on writing music for Anthony’s sophomore album, Urban Jazz – My Story. Through this album, Anthony continued his urban jazz trademark sound. The album also featured artists such as Eric Darius, Frank McComb and legendary drummer, Dave Weckl. Anthony’s songwriting credits also earned him song placements on music for VH1 behind the music with Mary J Blige and has also produced music for Epic recording artist Aaron Sky. Through his album releases, Anthony has been featured in countless magazine and press articles around the world including Rolling Stone Magazine, Bass Player Magazine in Japan, Bass Musician Magazine, Bass Quarterly Magazine in Europe and Basista Magazine in Poland. Anthony Crawford is also recognized as “Most Popular Player” on No Treble.com in their “Player Spotlight Section”. 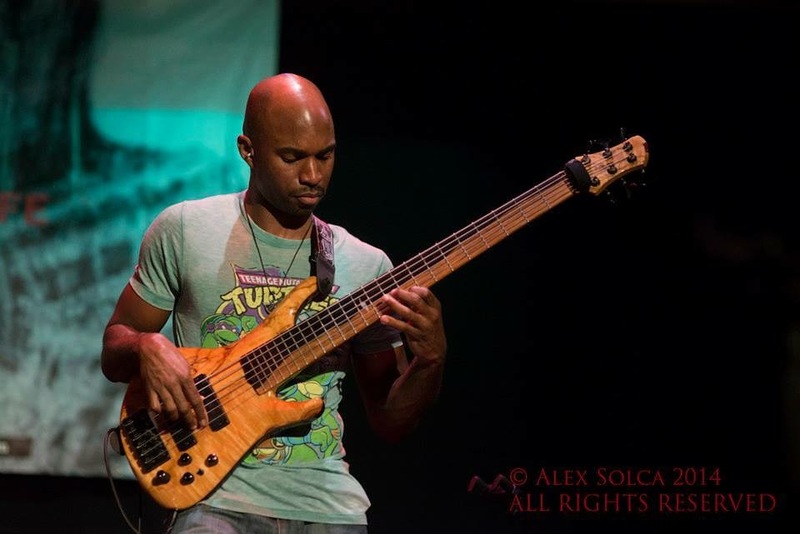 Anthony Crawford is a notable up and coming bassist inspiring generations to come with his unprecedented, eclectic musical talents.